Nepal is a great country for a homestay program. The homestay prog project of Volunteer Forum Nepal, a nongovernmental, non-for –profit organization based in Kathmandu, Nepal. Our mission for launching this project is to provide excellent quality accommodation to the people from abroad (school children, university students, and professionals) wishing to experience Nepalese way of life at an affordable price. We do not only offer support and practical advice to our guests but also provides friendship and emotional support ensuring stable living-experience tolerant in the multi-cultural set up of the country with scores of cultural variations. We have already had experiences of hosting hundreds of western volunteers and professionals in the family. 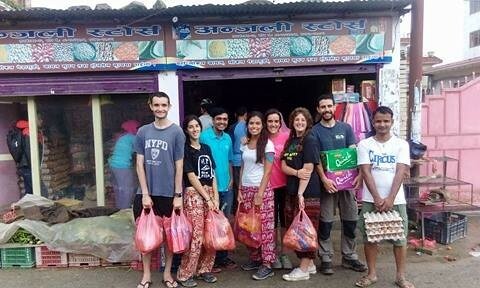 Our services are perfect and appropriate for those who are seeking affordable accommodation within a home atmosphere as a base for their visits, excursions or internship along with volunteer work placements in Kathmandu Chitwan lamjung Pokhara and Langtang. Furthermore, we also welcome schools and youth groups to our home who accompany with their teachers/educators for educational study trips on a short stay basis. Likewise, we entertain groups of adults or individual wishing to spend a few days or weeks with a Nepali family ensuring the visit to the exciting attractions Nepal is a great country for a homestay program. The homestay prog project of Volunteer Forum Nepal, a nongovernmental, non-for –profit organization based in Kathmandu, Nepal. Our mission for launching this project is to provide excellent quality accommodation to the people from abroad (school children, university students and professionals) wishing to experience Nepalese way of life at an affordable price. Furthermore, we also welcome schools and youth groups to our home who accompany with their teachers/educators for educational study trips on a short stay basis. Likewise, we entertain groups of adults or individual wishing to spend a few days or weeks with a Nepali family ensuring the visit to the exciting attractions PVN Nepal has to offer. The host family is located right at the 5 different area of Nepal. We provide standard facilities to our guests at home that are best available in Nepal. Nepal has to offer.